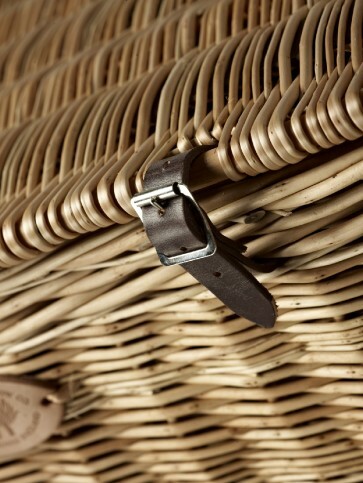 This eye catching Boston Drinks Hamper, is shown here in the matured weatherbeaten gold willow finish with leather covered stainless steel bar handles and dark brown leather strap and buckles. 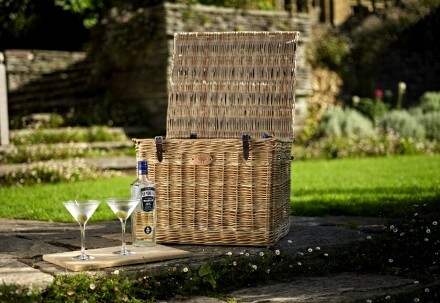 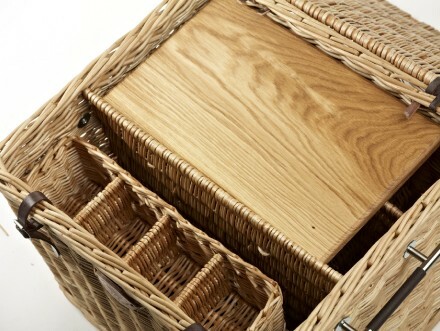 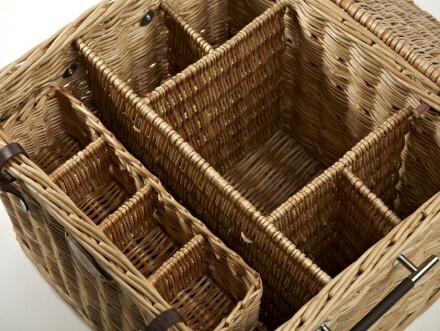 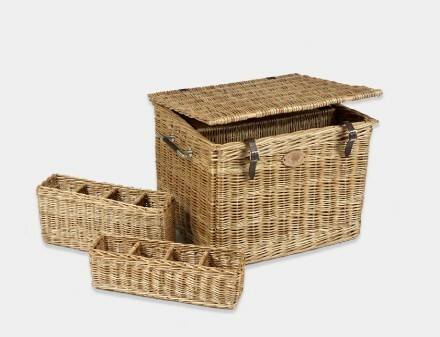 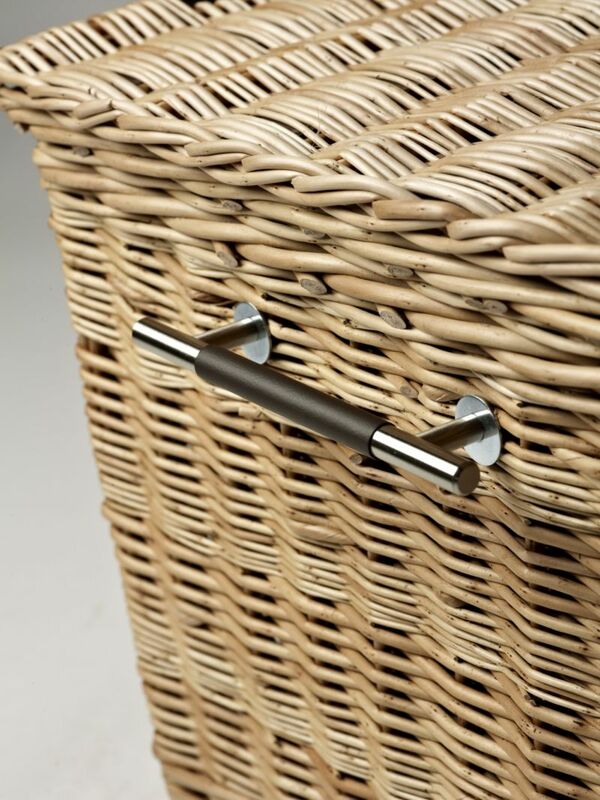 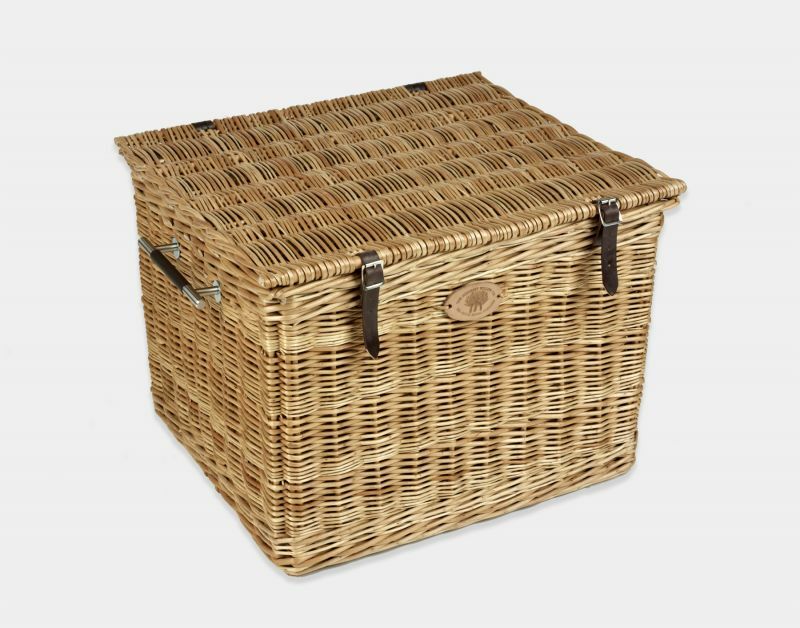 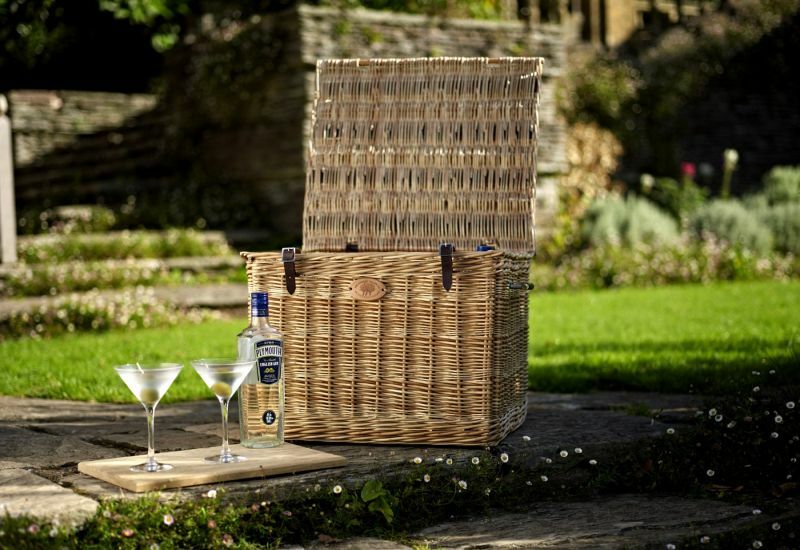 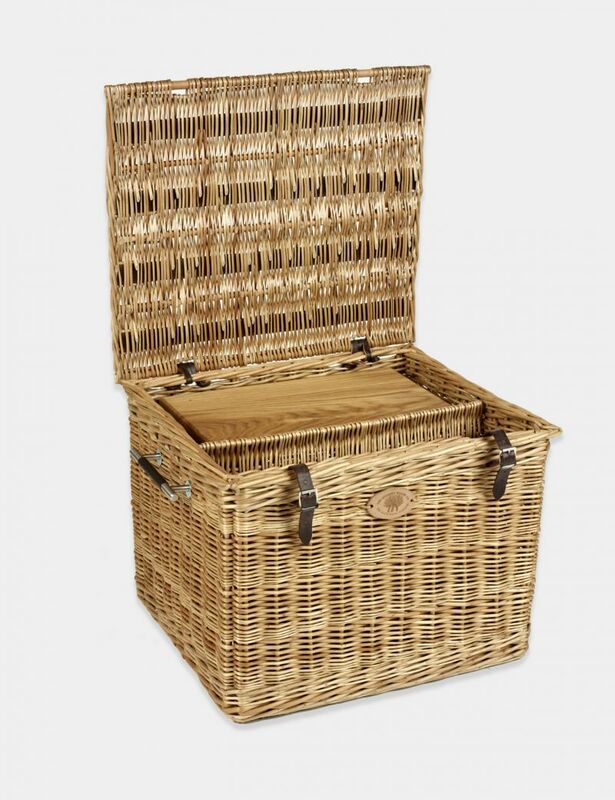 The hamper comes fitted with two elegantly crafted removable glass baskets and has a precisely situated oak cutting board which straddles the bottle area of the basket. 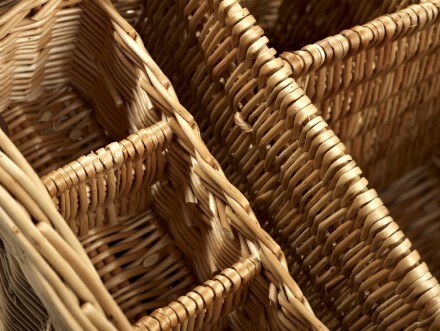 The hamper is made exclusively by hand in our workshops in Somerset, using locally grown Somerset willow.